Sterling Silver White Quartz, Peridot and Freshwater Pearl Necklace. See Closeup. 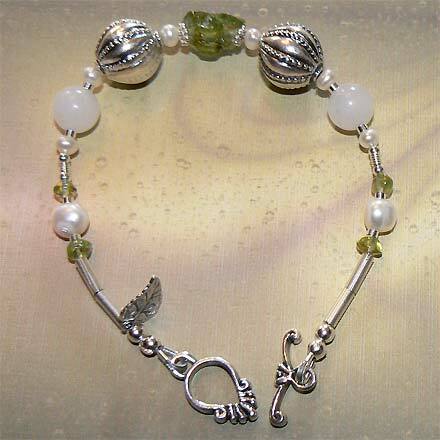 Sterling Silver White Quartz, Peridot and Freshwater Pearl Bracelet. 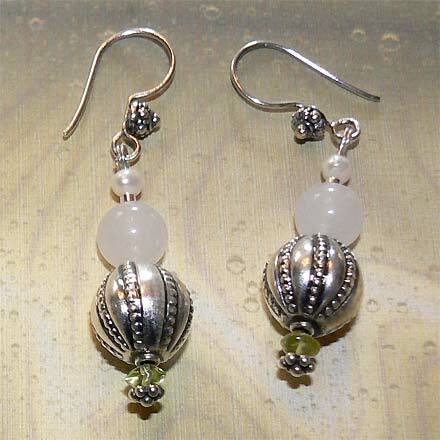 Sterling Silver White Quartz, Peridot and Freshwater Pearl Earrings. This is such a unique pendant. It's like a geode slice turned inside out with the crystals on the outside. It looks like what I imagine a large hailstone to look like inside. 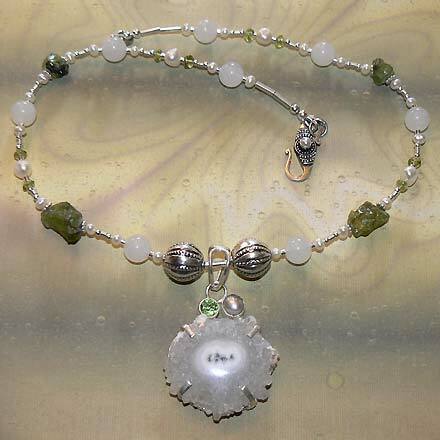 It's white Quartz and it's topped with Peridot and white Freshwater Pearls. I used raw Peridot chunks throughout the necklace and one in the bracelet. A unique combination of stones embellished with lovely silver Bali beads. Necklace also comes with a Pearl clasp. 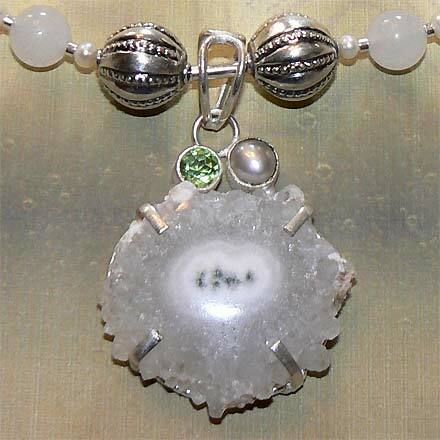 For those who are interested in Astrological significances of stones, Quartz corresponds with Taurus and Gemini, Peridot corresponds with Libra and with the month of August, and Pearl is associated with Gemini and Cancer and the month of June.